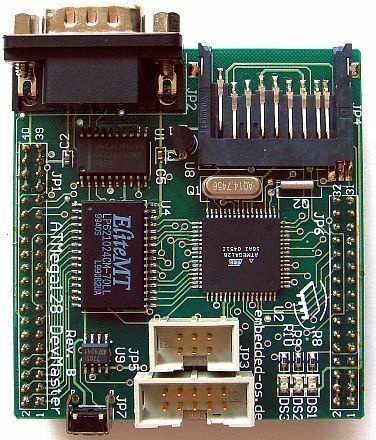 For my old Z80-Computer (CPM/RTOS/DOS), there is not any emulator, the emulator to the Am188ES-Board only runs with an ISA-card(ISA - is there still this ? ), the Rabbit3000 processor on the Rabbit3400-board takes on IO-access /CS and /RD absolutely simultaneously to high-level, which doesn't get along with some IO-contollers, and with the MCB517-board I am not content with the Keil-monitor. and there is one - the Atmel AVR ATMega128 ! I would have gladly immediately the latch, the external RAM, the IO-dekoder etc. on the board.... but - gives not! So, only the second variation therefore remains - does it self! 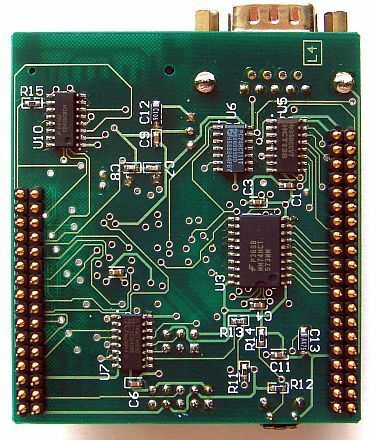 The generated pinning can used for additional IO-controllers, another RSR232-Interface, an RS485-Interface, a SmartCard-Interface, an I2C-Interface, etc. 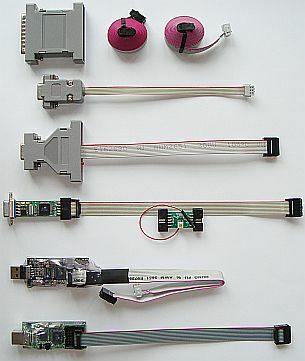 The additional IO-controllers are USB, X25/HDLC, ISDN, Ethernet, LCD, SCSI, floppy, hard disk etc. (see pC/... modules). By all means ones is recommended for the USB JTAG adapters - transparent heat shrink sleeve. I have it done and now, the small board is protected when touching!